Seeing Daihachi Yoshida’s “The Scythian Lamb” for the second time at the Foreign Correspondents’ Club of Japan, I was reminded of “Black Mirror,” the British series with provocative “what if” scenarios set in an alternative present or near future. Yes, I am a binge-watcher. 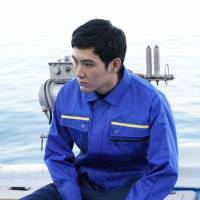 Not that the film’s provincial seaport is a “Black Mirror”-esque dystopia: As young city bureaucrat Hajime Tsukisue (Ryo Nishikido) keeps reminding us, the people are friendly and the seafood is delicious. But his boss tells him that the town’s population is declining and fresh blood is needed. His bizarre solution: Secretly bring in six convicted murderers and parole them for a period of 10 years. If they stay clean they will be permanently freed. Based on a manga by Tatsuhiko Yamagami and Mikio Igarashi, this “what if” is a set-up for black comedy. But Yoshida, whose films seldom obey genre rules, stirs in elements of thriller, social drama and even kaijū (monster) action. Credulity is sometimes strained and the murderers’ stories are not equally engaging, but the film goes unblinkingly into the darkness. Also, it squarely addresses the consequences of the ultimate crime for both the perpetrators and the society in which they live. For the paroled six rehabilitation is a possibility, but so is a reversion to violence. They are the tightly wound Fukumoto (Shingo Mizusawa), so starved for the air of freedom that he sticks his head out the window of Tsukisue’s car like a dog, the silent Kurimoto (Mikako Ichikawa), who lovingly and strangely buries dead small animals, the former yakuza Ono (Min Tanaka), who intimidates with his level stare and jagged facial scar, the smirking Sugiyama (Kazuki Kitamura), who can smell out another ex-con a mile away, and the smoldering Ota (the single-named Yuka), who finds the man of her dreams in Tsukisue’s stroke-victim dad (Toshiyuki Kitami). Making the biggest impression, however, is Ichiro Miyakoshi (Ryuhei Matsuda), who is open to his new environment in ways the others are not. Though stiff and distant, like a visitor from another planet, Miyakoshi comes to befriend Tsukisue and date Aya (Fumino Kimura), a recent returnee from Tokyo who plays a fierce lead guitar to Tsukisue’s bass in a three-member band. Prickly to Tsukisue, who has had a crush on her since high school, Aya soon warms up to fellow outsider Miyakoshi. Played by pop idol/actor Nishikido, Tsukisue begins as a nice-guy tour guide to his six charges but reveals a tougher side as their stay in the town lengthens — and they backslide to old ways. Taking considerable liberties with the manga (the band, for example, is not in it), the film transitions from the gag comedy of the first half to the tense drama of the second through grounded character development, though not all of its six killers gain a third dimension. Meanwhile, a googly-eyed monster from local folklore appears as a costumed local in an annual festival and looms as a huge statue over the town. Called Nororo, it serves as a metaphor for chthonic forces that doom the weak, the unlucky and the damned. And the title’s “Scythian Lamb?” It refers to the ancient Central Asian myth of a plant whose fruit is living, permanently tethered, sheep. Severed from their mother plant, the sheep die. Something like humans cut off from their own humanity.